We are so excited to welcome HAPPY AFRICA to Fields of Healing 2018! They will lead a community drumming and dancing circle to close the event on the Sunday afternoon. GABRIEL OTU is a West African performer, dancer and teacher. 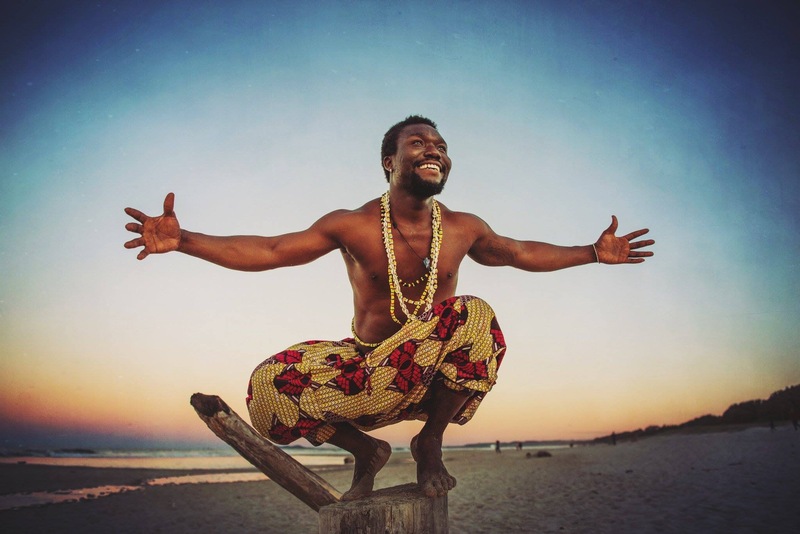 Growing up on the beaches of Ghana’s South Coast, Gabriel started traditional African dance at the ripe young age of 7 and pursued in continuing his Fathers footsteps in playing percussion, singing and carving djembes. Gabriel spent 10 years travelling Ghana with his profession and in 2008 made the leap to Australia to share with us the joys of his culture. TODAY Gabriel is based in the Northern Rivers of NSW teaching weekly drum and dance lessons in Mullumbimby, at local craft markets, schools, weddings and performing at festivals such as Splendour in the Grass, Woodford Folk Festival with his 5 piece band HAPPY AFRICA; grooving traditional melodies into afro-beats. GABRIEL’S passion for music and dance shines through in his ability to teach, perform and engage with his crowd. Happy Africa with special guest dancers!